There is NO "International Ballot Lottery Award Draw" located at iblottery.com. Therefore, online users who received email messages claiming that they are winners in this so-called lottery are asked to delete them and should not follow the instructions in them. Also, online users should not visit the fake and fraudulent website www.iblottery.com. This is because the fake email messages are being sent by lottery scammers and the fake website operated by them. Your email has been Selected as the Auspicious Champ of Five Hundred United States Dollars. ( 500,000.00 USD) In the International Ballot Lottery Award Draw. We deeply congratulate for winning the sum of Five Hundred Thousand United States Dollars ($500,000.00 USD) in the just concluded World Email International ballot Lottery. All participants emails in this lottery program were selected randomly through our computer ballot system, drawn from 97.000.000.00 email addresses from around the world. Your email was selected by the automated computer ballot system, which was programmed for this random selection. Please Contact ( winnings@iblottery.com ) with the Reference above to receive your Won Prize Fund. Thank You for being part of our Community and for Helping us connect the World Free. The fake email message is being sent out to potential victims by lottery scammers to trick them into believing they are winners in the so-called "International Ballot Lottery Award Draw" promotion. 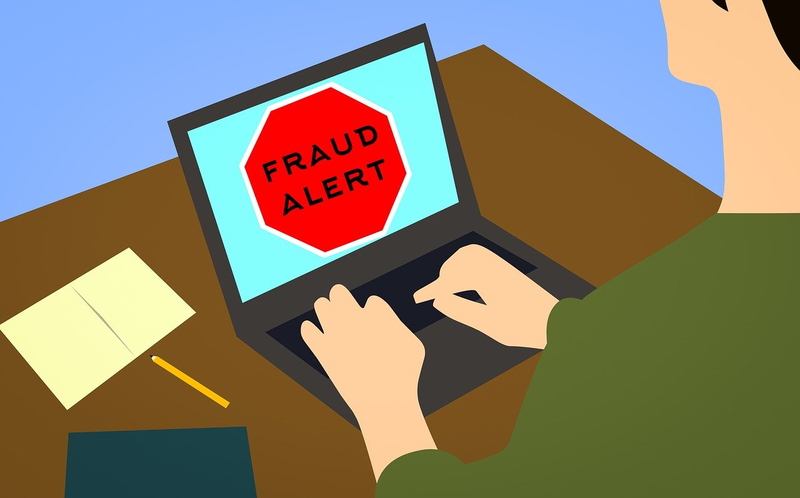 The scammers make the scam more convincing by claiming the potential victims were selected randomly through a computer ballot system, therefore, no participation was needed. "Your number 385#########7 has been selected as the winner of Five Hundred Thousand United States Dollars (500.000.00) in the International Ballot award programme. Send your winning REF No: VB/US-64634975 to email: winner@intllotteryawardsviber.com for more information on how to claim your funds.Contact: winner@intllotteryawardsviber.com for more inquiries." "Congratulations!!! Your number has been selected as the winner of Five Hundred Thousand United States Dollars (500.000.00USD )in the International Ballot award programme. Send your winning REF No: VB/US-64634579. to email: admin@intllotteryawards-viber.com for more information on how to claim your funds. Contact: admin@intllotteryawards-viber.com for more inquiries." I got this message on Viber! I didn&apos;t send anything and because of your information, I won&apos;t. "Congratulations!! !Your Mobile number has been selected as the auspicious champ of Four Hundred Thousand Dollars(400,000.00 USD)in the Verizon World Apps International ballot award draw. Paymennt Ref:VRZUS-VB/W779. Please contact ( award@verizonappsballot.com ) to receive your won prize fund. Thank you for being part of our community, and for helping to connect the world free." "Your number has been selected as the winner of Five Hundred Thousand United States Dollars (500.000.00USD)in the International Ballot award programme. Send your winning REF No: VB/US-64634579 to email: win@vdepartment.net for more information on how to claim your funds.Contact: win@vdepartment.net for more inquiries." "Congratulations!! !Your Mobile number has been selected as the auspicious champ of Four Hundred Thousand Dollars(400,000.00 USD) in the Verizon World Apps International ballot award draw. Paymennt Ref:VRZUS-VB/W779. Please contact ( ballot@verizonballot.com ) to receive your won prize fund. Thank you for being part of our community, and for helping to connect the world free." I also receive the same sms. Your number has been selected as the winner of Five Hundred Thousand United States Dollars (500.000.00USD)in the International Ballot award programme. Send your winning REF No: VB/US-64634579. to email: info@intlviberpromo.com for more information on how to claim your funds. Contact: info@intlviberpromo.com for more inquiries"
I have received the same email. I have received a message form via Viber is that true if I win how can I get the money. From the desk of the VIBER Splash Promotion Team, we wish to officially inform you that your application has now being approved for a payment. We congratulate you once again for emerging as our winner of $500,000.00 USD ( Five Hundred Thousand United States Dollars). VIBER Corporation organized this promotional to appreciate the society for it&apos;s amazing supports and patronage towards the growth of the organisation. We also thank you for being a part of our community, and helping to connect the world free. We are sending this message to inform you that your claim process has been completed, and your winning cheque amounting to the sum of $500,000.00 USD (Five Hundred Thousand United States Dollars) has been given to our affiliate courier service: Orient Global Shipment for immediate delivery to you. Please find attachment for Winning Certificate.. Your number has been selected as the winner of Five Hundred Thousand United States Dollars (500.000.00USD)in the TrueMove International Ballot award programme.Send your winning REF No: TR/US-64634579. to email:admin@truemovespromo.online for more information on how to claim your funds.Contact:admin@truemovespromo.online for more inquiries. Congratulations from the TrueMove company"
I’ve got a message on Viber nearly same as others up that I’ve won a price from 400,000 USD and my number was chosen randomly from a computer. And they send me an e-mail address to contact them, email is ballot@superappsballot.com. Can you please give me an answer of this is true or fake. It is a fake. There is no Viber lottery. Is that true? I send that but they are not online. Sorry because of errors, I am from Montenegro. They said my nubmer is choosen. Please answer me! Is that true? They sent me a message on the viber. They give me a code and then they said to send that code to email info@vdepartment.net. Is that true? I sent that but they are not online. Sorry because of errors, I am from Montenegro. They said my number has been chosen. Please answer me! Is that true? Must be a scam! And I got the same message. No, it is not true. It is a fake or scam. Your number has been selected as the winner of Five Hundred Thousand United States Dollars (500.000.00USD)in the International Ballot award programme. Send your winning REF No: VB/US-64634579. to email: winner01@vdepartment.net for more information on how to claim your funds. Contact: winner01@vdepartment.net for more inquiries." "Congratulations!!! Dear Customer, for winning $500,000 USD in the VIBER annual mobile ballot award program. Send your reference number VB/US-64634579 to email: info@viberincs.online for more details on how to claim it." Your number has been selected as the winner of Five Hundred Thousand United States Dollars (500.000.00USD)in the International Ballot award programme. Send your winning REF No: VB/US-‎64634579. to email: process@vdepartment.net for more information on how to claim your funds. Contact: process@vdepartment.net for more inquiries." They are using this email: winner01@vdepartment.net. "Congratulations!!! Your number has been selected as the winner of Five Hundred Thousand United States Dollars (500.000.00USD)in the TrueMove International Ballot award programme. Send your winning REF No: TR/US-64634579. to email: admin@truemovespromo.online for more information on how to claim your funds. Contact: admin@truemovespromo.online for more inquiries. Congratulations from the TrueMove company"
I have received this message on my Viber in the Netherlands. The number they are sending from is: 7 950 549-03-51. "Your number has been selected as the winner of Five Hundred Thousand United States Dollars (500.000.00USD)in the TrueMove International Ballot award programme. Send your winning REF No: TR/US-64634579. to email: info@truemovespromo.online for more information on how to claim your funds. Contact: info@truemovespromo.online for more inquiries. Congratulations from the TrueMove company"
Just be careful next time because the scammers will contact you and attempt to trick you into sending them money or more information. Congratulations!!! Your number has been selected as the winner of Five Hundred Thousand United States Dollars (500.000.00USD)in the International Ballot award programme. Send your winning Verification No: VB/ US-64634579. to email: info@vdepartment.net for more information on how to claim your funds. Contact: info@vdepartment.net for more inquiries." I have got message that state i am the winner of 500,000usd. What shall i do? Your number has been selected as the winner of Five Hundred Thousand United States Dollars (500.000.00USD) in the International Viber Ballot Award Program. Send your winning REF No: VB/US-64634579. to email: winner01@vdepartment.net for more information on how to claim your funds. Contact: winner01@vdepartment.net for more inquiries." I have received this message via Viber without any application. What shall I do? You have been approved by the Viber ballot award team to receive your award prize through cheque payment, kindly contact the courier company in Thailand on how to make the delivery of your parcel containing, Bank cheque, Bank security documents and Original award certificate to you. Please contact the dispatch through below details. The Viber Ballot Award Team." Is this fake? please help me. Your number has been selected as the winner of Five Hundred Thousand United States Dollars (500.000.00USD)in the International Ballot award programme. Send your winning REF No: VB/US-64634579. to email: process@vdepartment.net for more information on how to claim your funds. Contact: process@vdepartment.net for more inquiries." It is a scam or fake, just delete it. I have received this: "winning REF No.VB/US-64634579, and the message says email it to process@vdepartment.net." So what should I do? Is it real or fake? Delete the message, it is a fake. Your number has been selected as the winner of Five Hundred Thousand United States Dollars (500.000.00USD)in the TrueMove International Ballot award programme. Send your winning REF No: TR/US-64634579. to email: process@truemoveltd.info for more information on how to claim your funds. Contact: process@truemoveltd.info for more inquiries. Congratulations from the TrueMove company"
I have also recieved this message on my viber. Beware of them. I also receive this fake winning. It is a fake or lottery scam, therefore, just delete it. I have also got a message today, what should I do?